Three great age groups - TNT (7-10), BLAST (11-13), SIZZLE (14-17) plus featuring SALT (Skills and Leadership Training) designed for teens ready to take their leadership/outdoor skills to the next level. Online registration is available. Activities include: All camp games, Archery, Baseball, Basketball, the Blob, Cabin activities, Canoeing, Climbing wall, Crafts, Field games, Fishing, gaga ball, 9 square in the air, floor hockey, High Ropes Course -Team Focused, Hiking, Low Ropes, Orienteering, Skateboarding ramps, Soccer, Swimming, Tetherball, Trampoline, Volleyball and theme days every Friday. 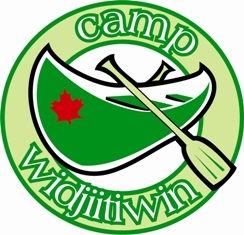 Situated on 26 beautiful acres in the heart of Muskoka and on the Muskoka river, Camp Widjiitiwin is a great place to meet new friends, create memories, learn new skills and have a lot of fun in a Christ centered environment.